The large Christmas Tree is already up at the Durham Gala which means it is time to start pantomime season…oh, yes it is! 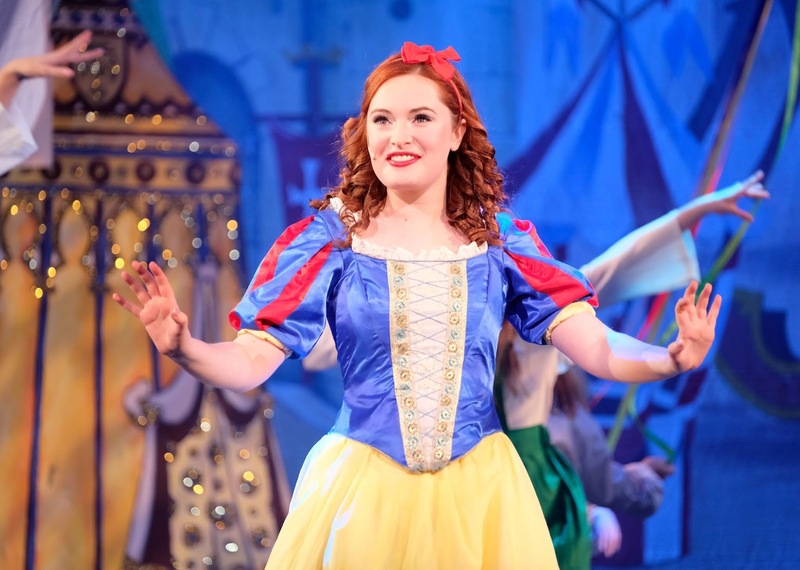 Durham have been the first theatre to start its panto for the last few years. It sets a strong marker for the standards expected in each year. It is the fourth show to be written and directed by Neil Armstrong and Paul Hartley and it continues to go from strength to strength by getting the basics right: it is magical for the kids and funny for everyone. Like in past years, they have taken a story that has been done by plenty of others but they’ve put it in the mixer and changed it to fit the Durham set up. This is no Disney reboot. In silhouette the story is set up by Miranda the Mirror (Sarah Boulter). The Queen of Fairyhill gave birth to a baby girl. Before she could announce this to the townsfolk, Rupert von Rottenchops (Neil Armstrong) shot her accidently with a 30mm canon. 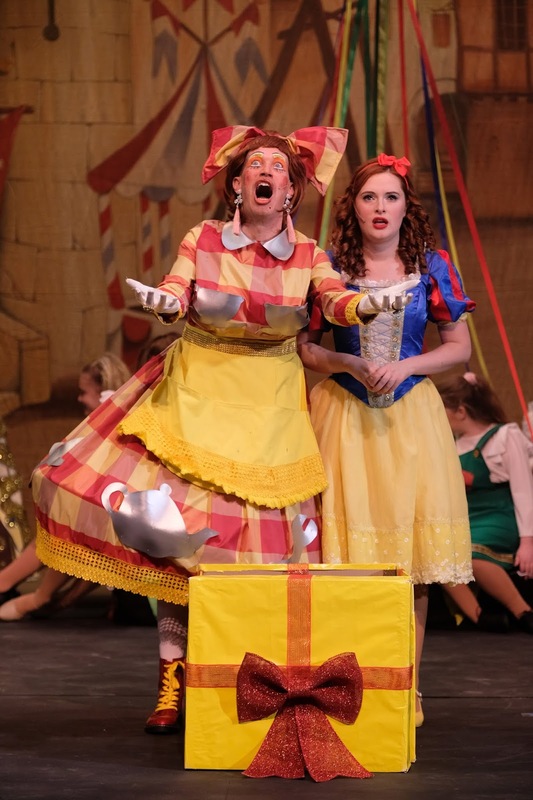 The evil Rupert ditches the baby in a pizza delivery bag and she is brought up by Dame Dolly Doodle (Paul Dunn). So the evil Queen has been replaced with an evil male character in this tale but the change still leaves a very recognisable tale. What helps make this a strong panto is that the story drives the action and is central to each scene, rather than been only occasionally mentioned inconveniently, as happens in other shows. There is a real effort with the storytelling and that makes it easier for the kids to relate to the action. 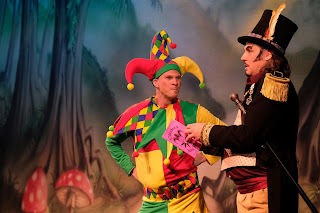 The elements of panto shows are there too. There is the take off scene with lots of screams of ‘its behind you’, the messy scene with custard, the community singing at the end and chances for the audience to get involved. Paul Dunn is the affable Dame who singles out a male adult from the audience but they get picked on a lot less than in past years – it is like they’ve been warned to cool it. Likewise, Paul Hartley is the friendly comic who pulls some kids on stage for some singing and gives us our first rendition of Baby Shark of the season (I know it won’t be the last). What Paul didn’t do was the whole ‘Hi gang, when I come on stage I will say this and you need to say that’ routine. Cutting it out helped cut down the often lengthy exposition than can make the start of a panto drag for those with short attention spans. Another change from the standard format was releasing Sarah’s character Miranda from the mirror. To see the face in the mirror go off to help Snow White physically worked well. Her incredibly sparkly mirror outfit was a real eyecatcher. Snow White needs to be delightful and princess like and Lauren handles the role perfectly, although this Snow White is no lightweight pushover. Likewise, Jacob and Pip may start the show as evil henchmen but they are not going to make the younger members of the group burst into tears. In the same way Neil skilfully manipulates the audience, they too elicit the right response from the Durham crowd. Enough panto standards where kept in, along with some great songs and dance routines. The dwarfs are made up of two teams of children and calling one Keith Simpson was a masterstroke. Our team tonight put in performance which was greater in stature than their young age would normally suggest. 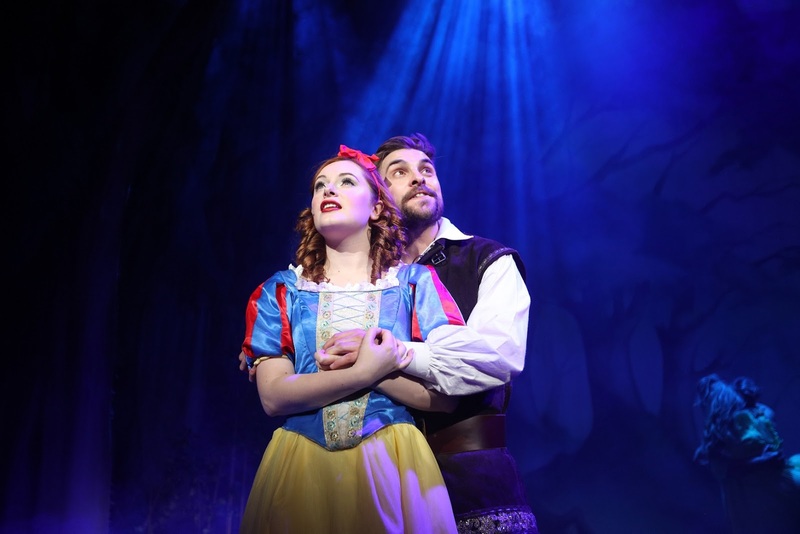 Snow White is a fast-paced panto that sticks to the script, remembers to be funny and looks great. A live band back some well sung songs and lively dance routines. The engaging cast remember it is a family show and there are no scary bits, which makes it suitable for the youngsters too. 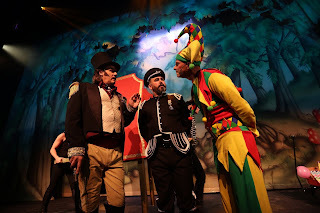 All in all, it is a great little panto. 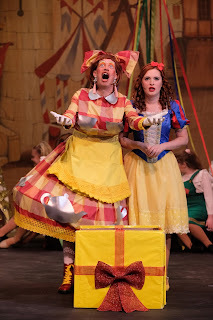 Tickets: Find out by booking tickets online at www.galadurham.co.uk or calling the box office on 03000 266 600.
pizza delivery bag and she is brought up by Dame Dolly Doodle, that is the best part whenever I watched the Snow White and Seven Dwarfs show. Thanks for sharing about this show.